The inspiration for the NBC drama New Amsterdam and in the spirit of Oliver Sacks, this intensely involving memoir from a medical director of a major NYC hospital looks poignantly at patients' lives and reveals the author's own battle with cancer. 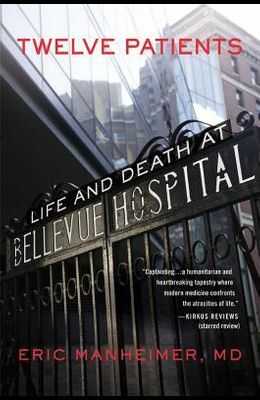 Using the plights of twelve very different patients--from dignitaries at the nearby UN, to supermax prisoners at Riker's Island, to illegal immigrants, and Wall Street tycoons--Dr. Eric Manheimer offers far more than remarkable medical dramas: he blends each patient's personal experiences with their social implications ( Publishers Weekly ). Manheimer is not only the medical director of the country's oldest public hospital, but he is also a patient. As the book unfolds, the narrator is diagnosed with cancer, and he is forced to wrestle with the end of his own life even as he struggles to save the lives of others.